I have seen these bat scenes all over pinterest this year! 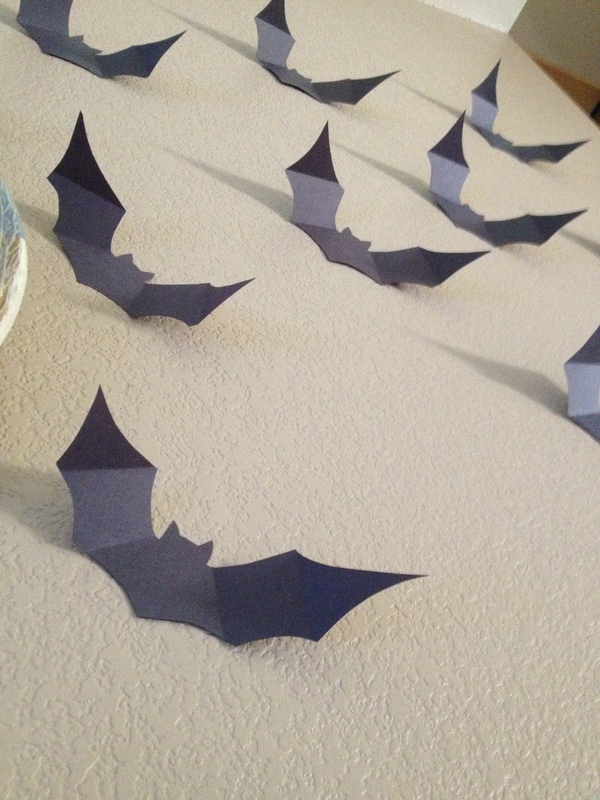 I even saw a Martha Stewart set of pre-made bats in Michaels to do this, but if you have black paper, why spend the $6 bucks for 10 when you can make as many as you want. 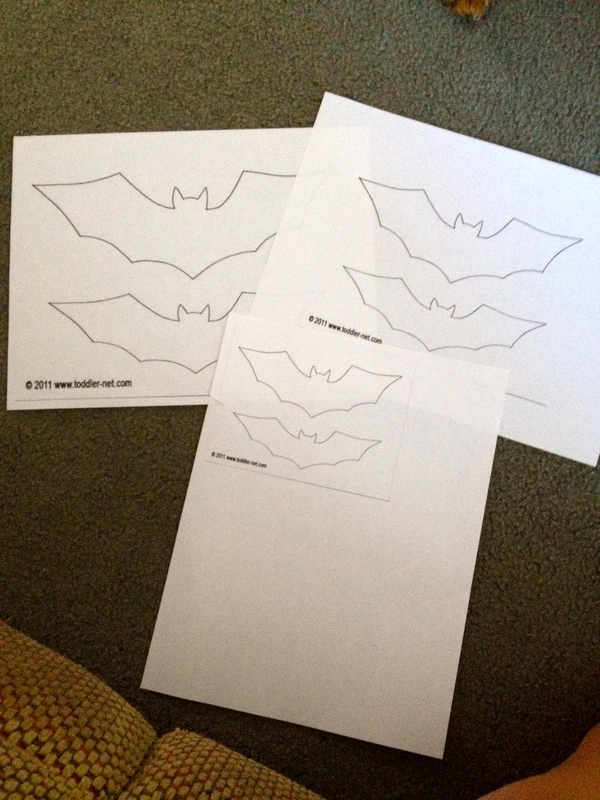 I found this stencil and adjusted the size so I would have six different sizes and then just printed them. 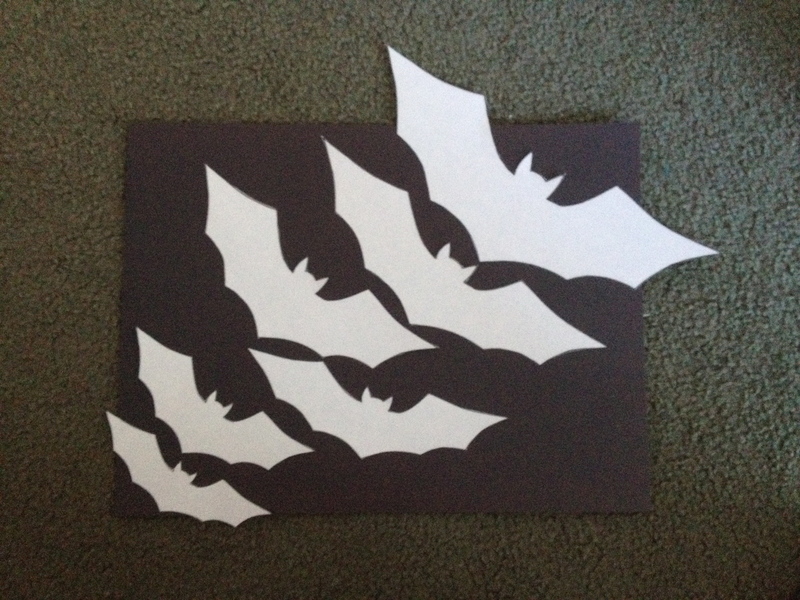 Then I just traced a bunch onto black construction paper with pencil and cut them out. Once cut out, I folded them like you can see below. This gives a more 3D look, but is not necessary for the bat wall. There is no right way to do this, fold as you like. 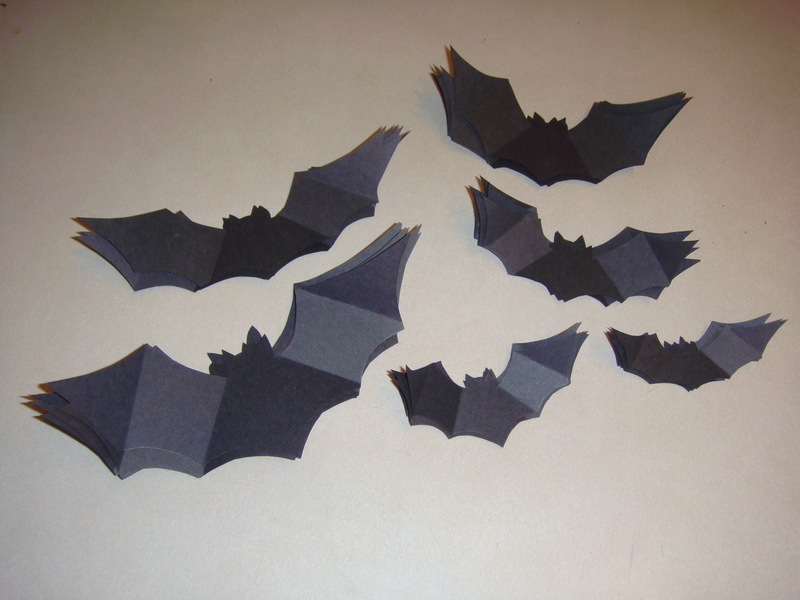 Here are all of them cut out and folded in piles to make it easier to hang. Then I just used normal scotch tape, and folded it up and hung them like that. They seem to be staying up well so far. I placed all the small ones to the left and just had them all flying up towards the ceiling getting bigger and bigger. The placement of the furniture made it hard to get a picture from any other angle, but it looks awesome from anywhere in the kitchen. I love the way this turned out. My favorite decoration of the year so far, and I LOVE that it was free! They make such a statement and take up the whole wall in our kitchen. I am going to do this with spiders I think too in a different spot in the house.